Lieve Joris recounts the true story of Assani, a student, rebel, soldier, and statesman, in a genre she refers to as literary reportage. Joris begins Assani’s story in Kinshasa during the fragile peace of 2003, when he is serving in the disparate forces that constitute the Congolese military. From this touchstone Joris recounts Assani’s life through a series of biographical flashbacks — from his youth as a cowherd in the turbulent Eastern Congo of the 1960s to his rise to generalship in a new Congolese state. Throughout, the reader is given a passionate and often disarming portrayal of the book’s scarred but loyal subject as he struggles with the complex ethnic and political dynamics at work in the frail but enduring Congolese state. It would be doing this work a disservice, however, to view it simply as a biography. While Assani’s story itself is fascinating, it serves a far more vital service as a guide through the turbulent history of the Great Lakes region of Central Africa. The vast majority of Western readers are unaware that in the late 1990s two horrific wars originated in the Great Lakes region, with the Second Congo War (1998-2003) involving eight separate African nations and claiming the lives of 5.4 million people. As a descendant of the Tutsis who settled in the Eastern Congo, Assani’s story traces these wars from their earliest rumbling to their conclusion in the peace agreement of 2003. From its origins in the 1960s Tutsi resistance to the Mobutu government, to the violence between the Hutus and Tutsis of Rwanda that reignited the conflict; from the war waged by Laurent Kabila to seize power from Mobutu in 1996, to the horrific and confused regional struggle of 1998 to 2003, Joris uses Assani’s life to tell the history of what is now known as “Africa’s World War.” With so little otherwise written on the subject, this serves as a necessary narrative of what is certain to be a defining period in Central African history. Overall, Joris has created a masterful work. In Assani the reader is given a sympathetic but controversial figure, through which they can absorb the history of one of the world’s most conflict-riven regions. By the end of the work even readers new to the subject will have a solid understanding of the complexity of the region, the harrowing prosecution of the region’s wars, and the fragile peace that even now appears to be unraveling. This understanding is facilitated by an excellent glossary and index of historical figures provided by Joris at the end of the book. 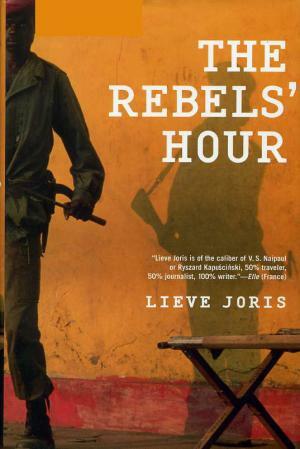 Given the continued difficulties of the region and yet the almost complete silence of the media on the topic, The Rebel’s Hour is a necessity for any reader interested in the tides of conflict and renewal in Central Africa.